This was a week full of reminders, a week established in truth, a week to recognize who I am, and certainly one of my favorite weeks thus far at Link. 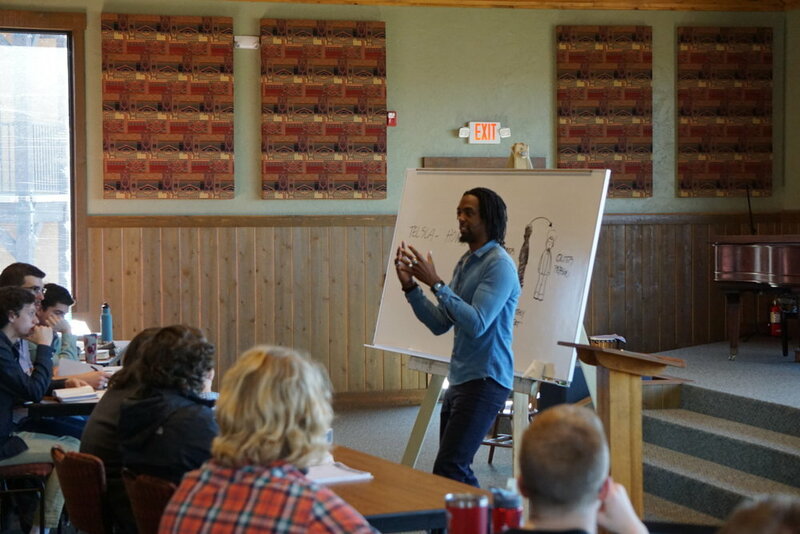 We had the blessing of being taught by speaker Adam Thomason. It was extremely encouraging to hear from such an intentional, eternally purposed, and wise individual. Wisdom upon wisdom upon wisdom- A.T. talked not just to us, but with us about way more topics than I could simply throw all into one blog post. It would have to be more like a dissertation. Identity, hope, discrimination, appearance, God’s pursuit, wisdom, simplicity, foolishness, schemes of the devil, pride, intentionality, insight, heavenly dwelling… just to name a few. And yet, through each topic, everything continued to point back to the importance of seeking wisdom. Wisdom that will leverage our earthly tent and to further the kingdom, while our inner person still dwells here on earth. As proverbs states, there are those that are wise, those that walk in the path of the simple, and those that are complacent in their foolish ways. Foolish people destroy themselves, for they ignore insight and choose to trust their own mind. They hate truthful knowledge and choose not to seek after it or leverage it. They delight in their own ways, and follow it with no hesitation. They exchange the truth of God for a lie, and do not seek wisdom where it can be found. Simple people turn to whatever is calling to them. They believe, with no discernment, whatever it is they hear. They listen to everything, but challenge nothing. The simple walk in their ways and follow things they believe to be good, but do not understand that it will cost them their life. Simple people are content in their understanding, and cannot distinct true wisdom from partial waywardness. So what then does it look like to be wise? We must first learn to be humble. In order to gain insight, we must have an understanding that there is a simpleness about us all, because we are not God. We so often love to listen to the things we hear in church, or the things imparted to us by our families, or the things of this world, and not challenge them against the truth that is scripture. When we are made aware of our simplicity, we recognize that we need to learn prudence, and listen to wisdom. So how do we seek out wisdom practically? We must not discriminate. This specific topic of discrimination is not one of race or gender, but one of wisdom. We cannot allow ourselves to discriminate where we can find wisdom. Wisdom can be gained from people, places, situations, and sources you would not necessarily expect. We must learn to look at the inner person of people rather than their outward appearance, or their earthly tent (2 Cor. 5:1). For it is not about who you “connect with”, it’s about who you can gain wisdom from. The inner person has nothing to do with who looks the same as you, or likes the same things you do, it is so much more than that. We cannot allow the distraction of culture and appearance to cause us to discriminate, and even miss out, on where we can gain wisdom from. All the while challenging everything against the truth of God’s infallible word. Test it, verify it, and be prudent in all things. We need to practice intentionality with people in order to gain wisdom from their inner person. If I was to sit down and have a conversation with someone, in order to gain wisdom from them the last thing I’d be talking about would be the football game that was on the night before. Instead we need to learn the habit of asking questions that will bring about conversation that spurs on wisdom and insight. 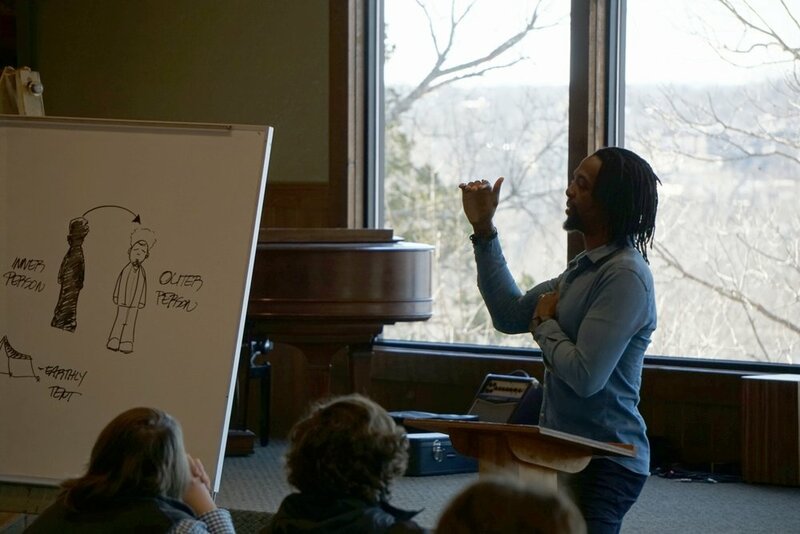 Kingdom furthering conversations, focused solely on the inner person. So what? I was blessed to learn a lot this week. But what’s my take away for seeking wisdom that will leverage my earthly tent? I’m learning to ask “why”. You can ask a person what they believe; you can ask a person who they base their beliefs or morals in; you can ask a person where they place their hope; but how much wisdom is achieved if you just stop there? It is when we ask why that these questions really begin to get to the heart of a person. It is in the why’s that we enter into a conversation rooted in the inner person. It is in the why’s that we learn how to leverage our earthly tent. It is in the why’s that we are reminded of truth. It is in the why’s that we are made wise. 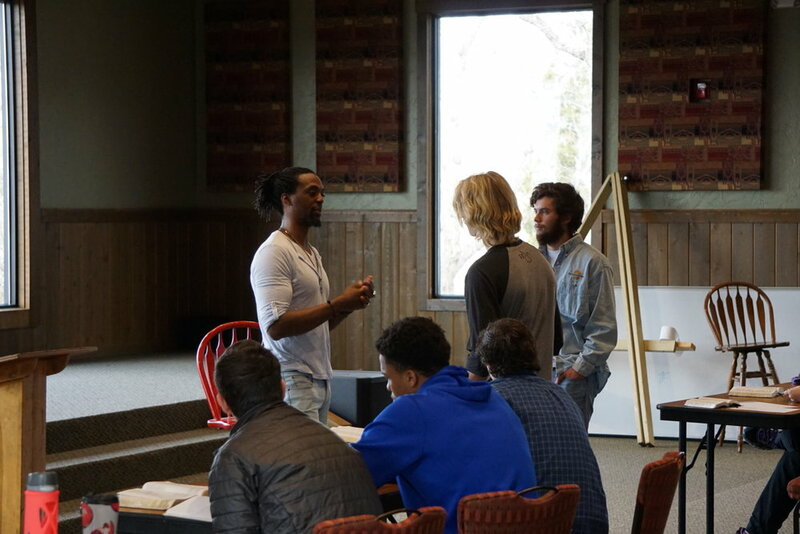 This week Adam Thomason flew in and taught the students on many topics including seeking wisdom, overcoming discrimination, and answered any questions they had. 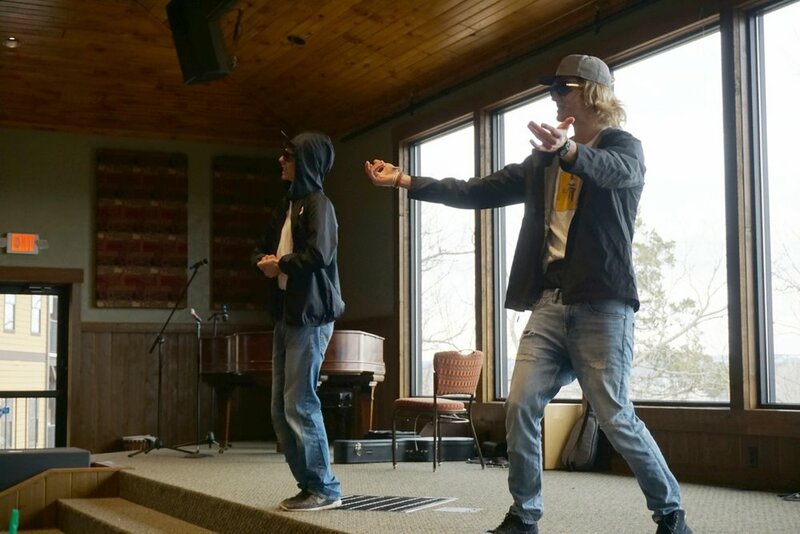 This Friday our TGIF was spent in an epic lip sync battle! There were three rounds and students could pick any songs they wanted. Celebrity judges commentated and everyone had a great time!